System maintenance with efficient cleaning and defragmentation: One click and all unnecessary data are gone! The One-Click Optimizer enables a quick optimization and cleaning of the system with an especially configured call-up of the modules Drive Cleaner, Registry Optimizer and Internet Cleaner. Of course those modules can also be run separately and be customized according to individual requirements. Defrag 3 allows the defragmentation of hard disk drives on the basis of one of the latest most effective algorithms. This function can be launched on system startup and then runs in the background permanently. The new module Registry Defrag analyzes the Windows® Registry and defragments it for a quicker workflow and improved access to the registry. Get more out of your system: The Service Manager helps with the management and optimization of installed services. Here your opinion counts. You can rate services and see other users’ ratings. The StartUp Tuner adjusts the startup behavior of applications. You can improve your Internet connection with the Internet Tuner. The Process Manager provides an overview of all running processes. The UnInstall Manger allows you to uninstall unnecessary applications as well as faulty entries. Perfectly personalize and configure Windows®: With these tools you can customize the settings of your system according to your personal requirements. Tweaking allows you to access hidden system settings and a detailed adjustment. The AntiSpy module provides access to interfaces, hidden options and their settings. The management of installed file formats and repair of faulty formats is done by the File Associator module. With the Context Menu Manager you can manage and customize context menus. The Icon Saver saves the arrangement of icons on your desktop and restores it, if necessary. Nothing stays hidden from these tools: The module System Information provides an overview of the installed hardware and software, including information on the operating system, processor etc. How much disk space do your audio files take up? This and similar questions are answered by the DiscSpace Explorer in a comprehensive overview. The performance of your processor and main memory is measured by the System Benchmark and can be compared with other users’ values on the Internet. The Disk Doctor checks your hard disk drive for potential errors and restores faulty files, if necessary. The new HDD Inspector analyses the S.M.A.R.T values of your hard disk drive on the basis of a tried and tested algorithm. This way this module can make a statement about the “health” and possible problems of hard disk drives in the system. Tools that you will not want to do without again: Files and folders are deleted safely and permanently with the File Wiper. For data protection reasons, it is sometimes necessary to protect the contents of files and folders from third-party access. In this case the File Encrypter & Decrypter module helps with the encryption. The File Splitter & Joiner splits large files into several smaller ones so that those can then be sent by email. Later on the recipient can join those again. The Undeleter helps you to restore accidentally deleted files. Always stay on the safe side with backups: The Backup Management provides a comfortable overview and information on all saved changes, in order to quickly restore those with just a click. In the Settings you can change the settings of each module and customize the general settings for Ashampoo WinOptimizer 9. The Tuning Assistant helps new users to maintain their system in the best possible way by only answering a few questions. The Taskplaner helps you to exactly plan the execution of task at a certain time. They will then be executed automatically. Trial version of Ashampoo WinOptimizer 9 is available in the following link. 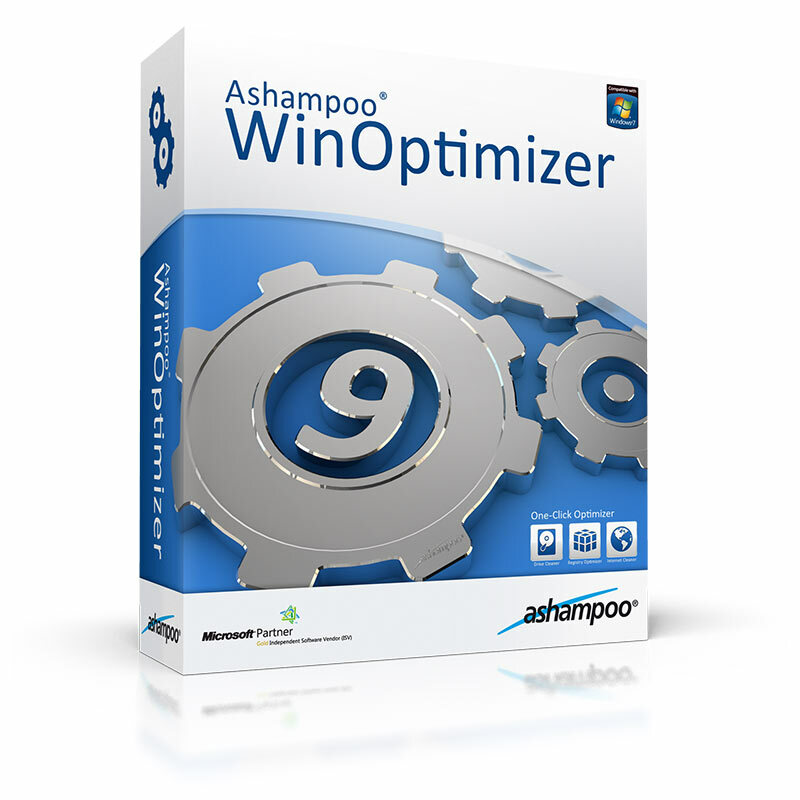 Ashampoo WinOptimizer 9 costs 39.99 USD and can be purchased using this link. Use Coupon Code YWR-QH7-LD8 or use this link to activate the discount. Use Coupon Code CJM-EA1-F5R or use this link to activate the discount. Use Coupon Code ULW-UWB-162 or use this link to activate the discount.